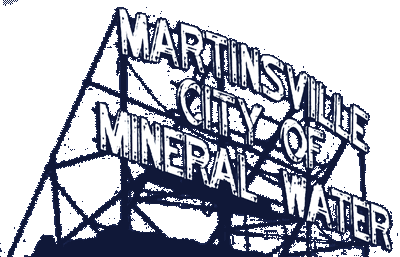 The Festival of Lights is set to return to Martinsville City Park November 26 – January 2 from 5:00 p.m. to 10:00 p.m. each night with displays being assembled and lights hung beginning Tuesday, November 1. According to Festival of Lights Committee Chair Robin Ferran, excitement is building for this year’s holiday display with volunteers and donations needed for the project. “We have been working hard planning for this year’s Festival of Lights and are asking for volunteers to help us put together the Christmas displays and hang the many lights it takes to create a wonderful experience for the whole community and visitors to enjoy. Anyone interested in making a financial contribution to the effort can mail a check made out to Festival of Lights to the Morgan County Community Foundation, 59 North Main Street, Martinsville, IN 46151. All monies donated will be used to buy lights, parts and other materials needed for the various displays. “The Festival of Lights’ first evening on November 26 will feature Santa and Mrs. Claus greeting guests at the Nash Family Pavilion, with music and time for everyone to tell Santa what they want for Christmas,” Ferran said. In addition to Ferran, other members of the Festival of Lights Committee include Co-Chair Darrell Anderson with Duke Energy and City Councilor Ben Merida, Tom Hacker, Mike Asher, Parks Department and City Properties Director Brad Bales and Parks Department Office Manager Tammy Brummett. For questions or interview requests, contact Ferran at 765-315- 9876.